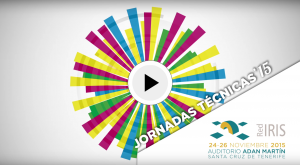 JJTT-2015 took place in Santa Cruz de Tenerife , from the 24th to the 26th of November in the Adam Martin Auditorium . 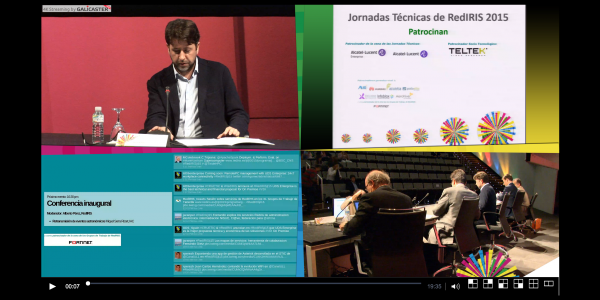 As in previous editions, the conference was preceded by the RedIris work groups meeting. 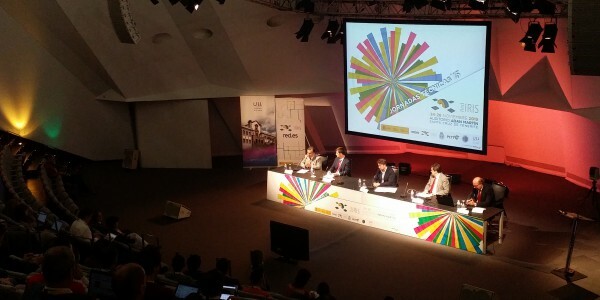 In this conference we tested for the first time our new Galicaster-PRO 4K prototype in a real world scenario. It provides an amazing Multi-view experience: a 4K stream composed by 2 HD cameras, 1 HD capture of presentation and 1 HD view of Real-time social media interactions. For those without a big 4K display, the player provides also full screen visualization for any of the four included video sources without losing quality in a standard HD monitor, as well as a side by side visualization that includes presenter and presentation. More than 300 “physical” attendees. More than 500 different IPs connected to live streams from 9 different countries. GaliRACK and GaliCUBE as the recording and streaming units.